Instructional Design (also called Instructional Systems Design (ISD)) is the practice of maximizing the effectiveness, efficiency and appeal of instruction and other learning experiences. 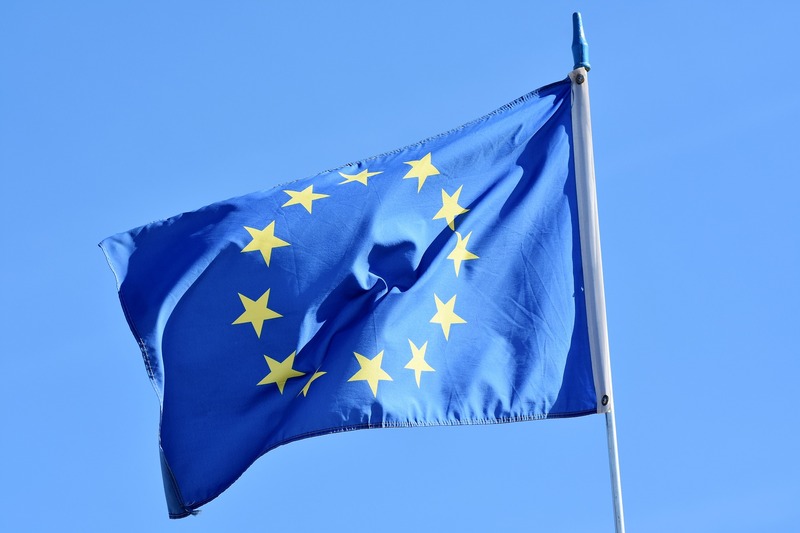 The process consists broadly of determining the current state and needs of the learner, defining the end goal of instruction, and creating some "intervention" to assist in the transition. -The outcome of this instruction may be directly observable and scientifically measured or completely hidden and assumed. ... There are many instructional design models but many are based on the ADDIE model with the five phases: 1) analysis, 2) design, 3) development, 4) implementation, and 5) evaluation. As a field, instructional design is historically and traditionally rooted in cognitive and behavioral psychology. All the pictures below are of the same object. It is changing colors under the control of scripts that make random selections followed by selective filtering to present only strong colors, black, or white. This display is inspired by Piet Mondrian. The multiple panel change color from time to time, producing an ever-changing art piece. 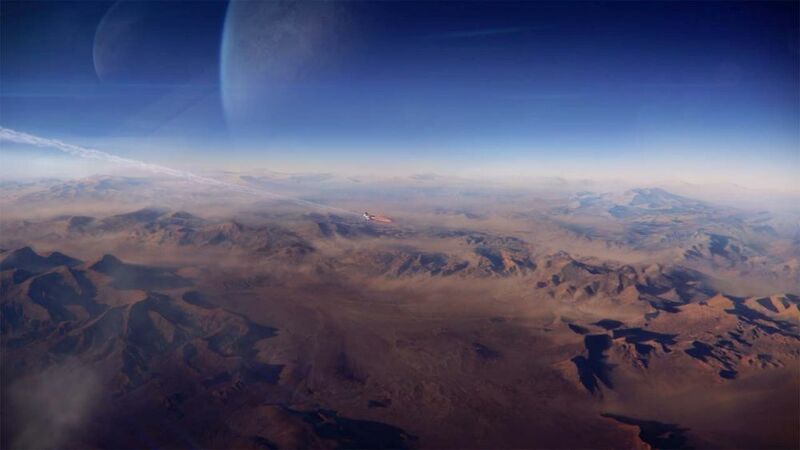 Streaming in two worlds. Second Life and InWorldz. Two places at once. Live streaming music to both. Bigger audience. Fleure Homewood does it regularly. 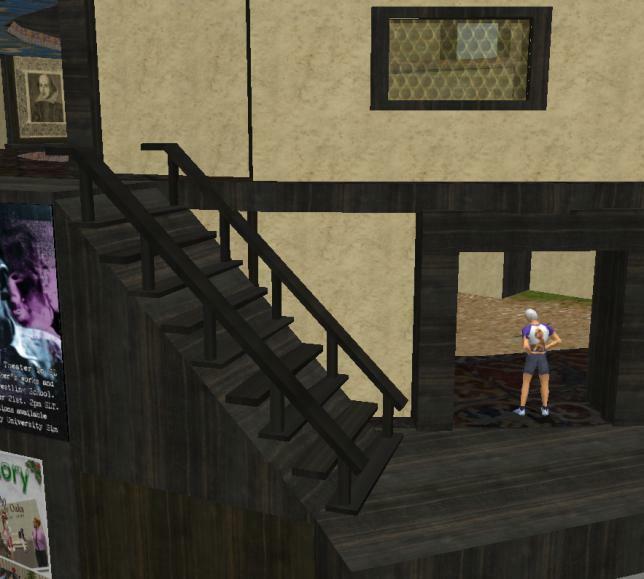 Since that looks like a way to expand musical entertainment in the virtual worlds, I asked Fleure to write a bit about how this is done and how it is working out. All submissions to MachinimUWA are listed and linked here. Announcement from Zoom with message from Chrissy Welinder , the DDU community manager. From the top of the lipstick tower high in the Azizi sky to the underwater UFO Club in the Sanhedralite sea the Duran Duran Universe is packed full of wonderful artistic treasures, interactive features, innovative multimedia and exciting events and games. 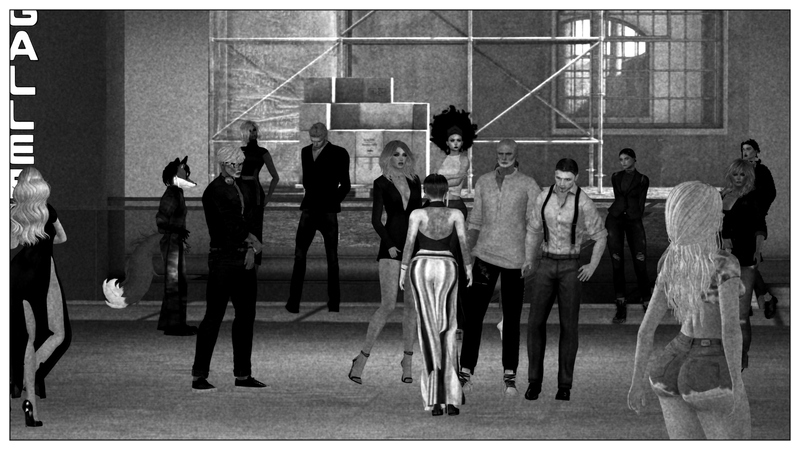 Duran Duran Unveils Second Life "Residence"
2013 ART: Sl8B: Walk in a dream. Fly in the art. 2013 EDU: Create: "shared creativity tool." Rod Humble gets it. "shared creativity tool" That's it! That's how Rod Humble characterized Second Life in an interview with Beau Hindman for Massively, a popurlar blog about massively multiplayer online games. You color prims in Second Life. You have access to all the colors that a monitor screen can render. And really bright colors, because the monitor is creating the colors out of light. Razor sharp edges (if you want them). 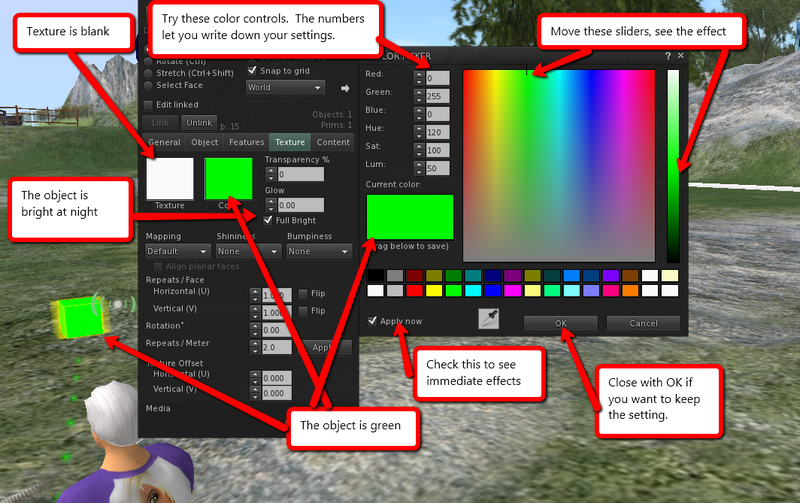 And changing colors if you have the scripts. 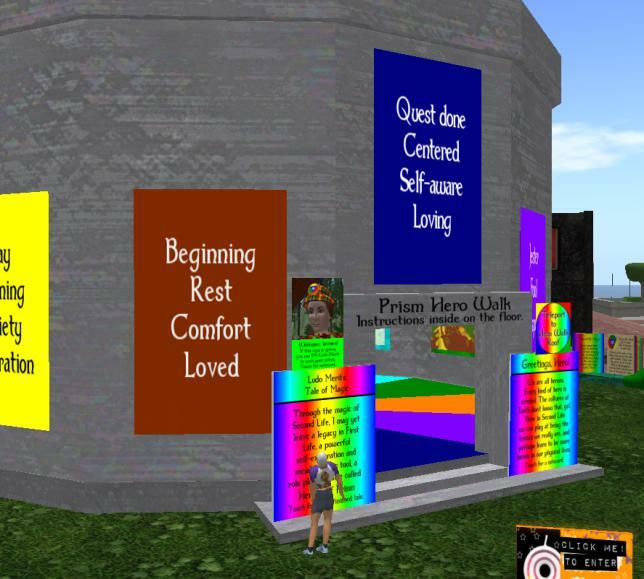 2013 EDU: SL8B: Joseph Campbell's hero journey. The journey of life. The Joseph Campbell Foundation and New World Library issued a new edition of The Hero with a Thousand Faces in July, 2008 as part of the Collected Works of Joseph Campbell series of books, audio and video recordings. 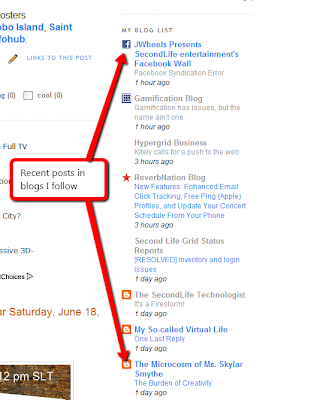 Wednesday June 29 at 3pm 2011. 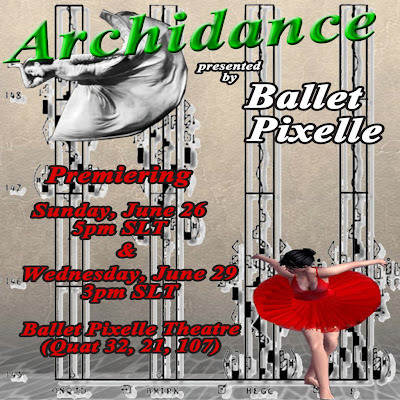 In Ballet Pixelle's continuing exploration of the similarities, differences, and interactions of digital, virtual, and physical movement and dance, we have simplifed movement into its basic architecture. And brought digital, virtual, and physical dance together in one ballet. How is dance constructed? What is its architecture? Form, color, shape? Moving steps, turns, jumps? High, slow, and medium height movements? Sharp, flowing, dropping movement? Let's look at the present, past, and future of dance and see how one influences the other. 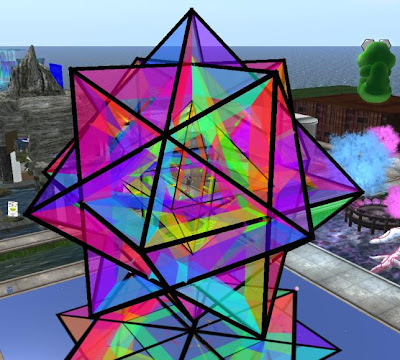 Finally, working with spheres, cubes, and triangles, we can see animated dancers -- who are not real people at all -- and then our virtual dancers who are real people all over the world -- Canada, England, Estonia, Japan, Portugal, Spain, and all time zones of the United States and Hawai`i, dancing together in the future of the art. What are the similarities? What are the differences? Join us for an evening of mind-bending thought and an homage to dance. Leave the theatre wondering... Discussions following all performances. 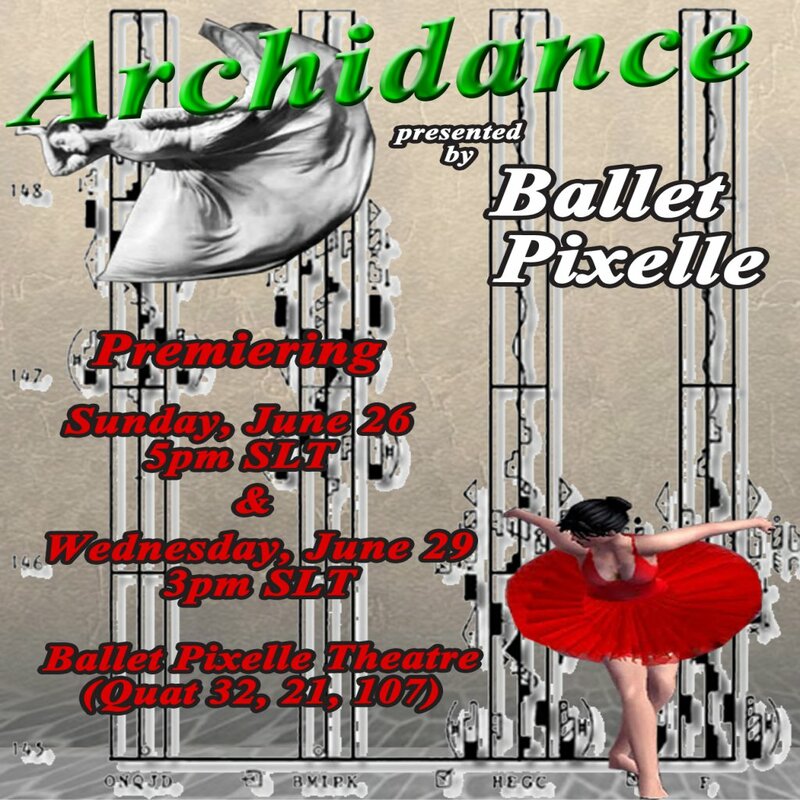 For more information on Ballet Pixelle™, search for the group "Ballet Pixelle" in Second Life and join the group to receive notices of all performances, auditions, newsletters, and other news and invitations. There is also a Subscribe Service in the theatre which allows you to receive notices without joining the group. Our web site is: www.balletpixelle.org, and our MySpace page: myspace.com/balletpixelle. We are listed on Facebook as Ballet Pixelle. Machinimas (videos) and information on previous ballets, information on auditions, current Company members' bios and photos, newsletters, press and reviews, etc are available on these sites. For Ballet Pixelle™ work done under the name Second Life Ballet you can search YouTube for Second Life Ballet or see the www.balletpixelle.org website. 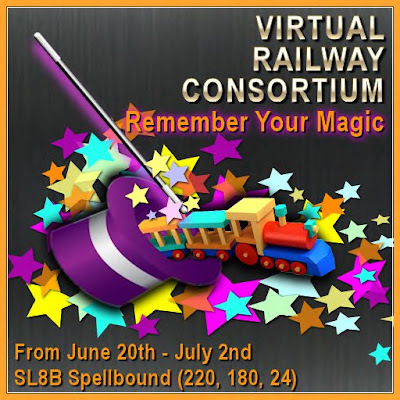 The Virtual Railway Consortium invites you to recapture the memory of railway magic. 2013 MUSIC: Molaskey's Pub. Irish pub. 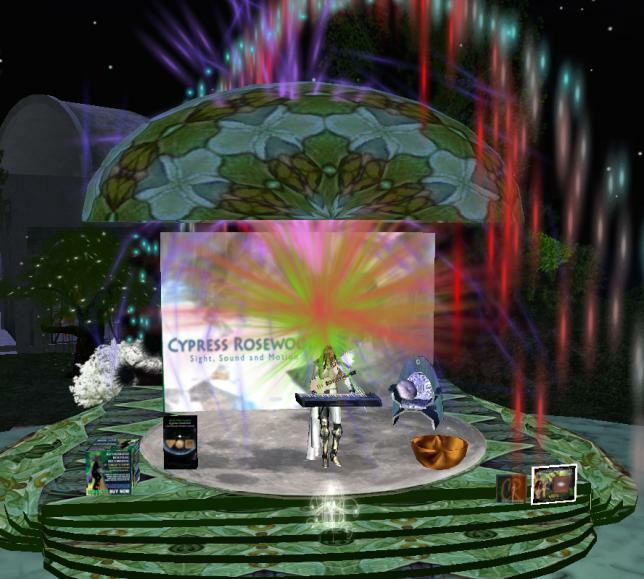 Live music in the virtual world. 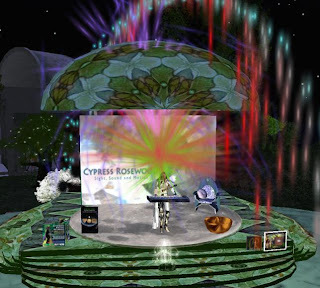 Live music in the virtual world. 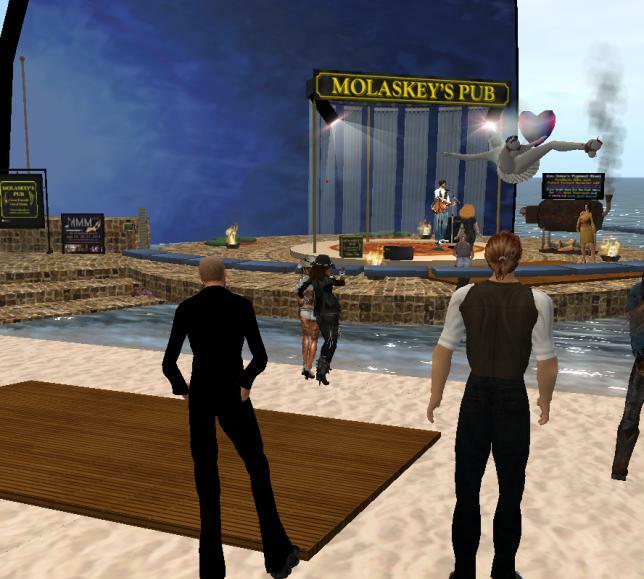 Molaskey's Pub is a well-known seaside Irish pub featuring live music in the virtual world, 'SecondLife'. Named after a worthy Irish immigrant from the early 20th century, Molaskey's Pub was established in March, 2007 by long-time 'Second Life friends, Apple MacKay and Katydid Something. 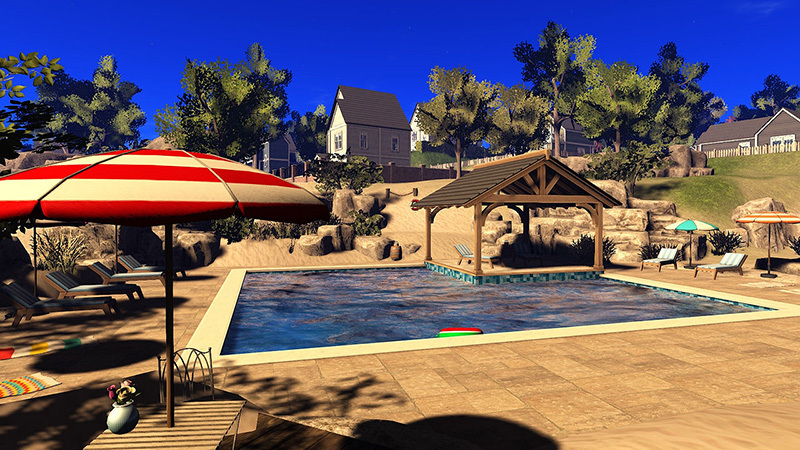 Combining their virtual world and real life talents in graphics, 3-D animation and advertising, Apple MacKay and Katydid Something created one of the finest custom built destinations in Second Life. With great music, atmosphere, interactive drinks, games, fun and interesting features, Moe's - as it is affectionately know - attracts people from nearly every time zone. Whether on the patio, beach or on the stylish bandshell stage, musicians like playing the Molaskey's Pub venue and often draw large crowds, filling the sim to capacity. So, grab a virtual pint and join the scene! Join The Group, Join The Fun! When you join the Molaskey's Pub group in 'Second Life', you'll be joining hundreds of other music-loving, social avatars from around the world. Our weekly concerts draw a sim-filling crowd. The Molaskey's Pub group members receive notice of Live Music and Events at the Pub. 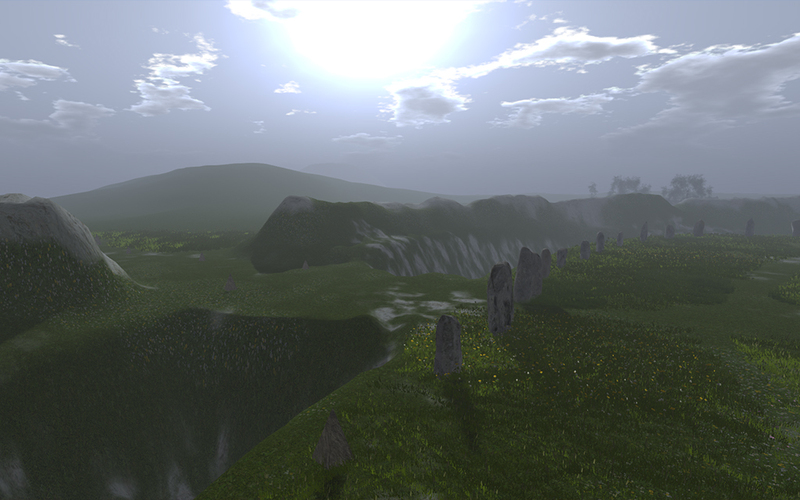 Wichi is a quality destination in Second Life. Visitors can enjoy a quiet stroll on the Wichi Riverwalk where they will find art galleries, an underwater bookstore, a journalist shop and a design center. The Wichi Multimedia Studio is an impressive photo studio where professional portraits and profile pictures are custom made by Apple MacKay. Molaskey's Pub and the oceanfront Bonfire Beach offers a lively, social scene with weekly Live Music performed by some of SecondLife's most established Musicians. Speak with any Staff Member or Host for a free group invitation. Molaskey's Pub group members may schedule private events at the pub, including birthday parties, receptions and holiday parties. For event planning details, contact the pub owners, Apple MacKay and Katydid Something. Blogger offers two gadgets that can help to build a community of bloggers on subjects related to Second Life or Virtual Worlds. Hear the sound of sawing and hammering coming from the northeast corner of Cookie sim? Your ears aren't playing tricks. Ada Radius is building a Renaissance theater in Avatar Repertory Theater's land there. But the theater troupe's new home is not just Yet Another Renaissance Theater. The others are essentially replicas of various theaters in real life. 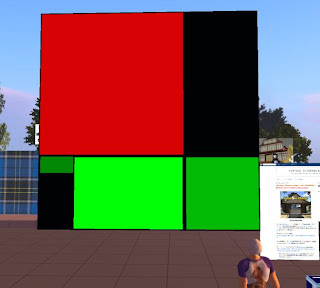 This one is intended for performing theater in Second Life and other virtual worlds. The intent is to actually use the building for theatrical productions. “I'm hoping we can put on Shakespeare plays faster, like the way they were done in his time: get your parts, do three rehearsals, and it's on.” She hopes to be done raising clouds of sawdust in a few weeks. Ada Radius is co-founder of Avatar Repertory Theater, and one of their set designers and builders. The subject of this video is an art piece call Liquidity. It was envisioned and built pretty much as you see it here. It was a rebuild of another artwork callI "Trippy Fluffadelic" that was submitted into December's UWA, but then withdrawn. While I had some idea what the outside would like, but was completely unprepared for the interior. A jaw dropping experience to say the list. While the video shows real-time footage of the device, and gives an idea for the structure, being their live to see it is a completely different experience. Yeah, I have seen the inside too. And I agree with Ginger--you just have to be there. 2013 VIDEO: ART: MachinimUWA III: 'Juroney"
2013 ART: VIDEO: MachinimUWA III: "Rusted Gears"
2013 See: YavaScript pod tours!